Welcome to my homepage! My name is Xun Huang (黄勋 in Chinese, pronounced as /shuun hwang/). I am a third-year PhD student in the Department of Computer Science at Cornell University, affiliated with the newly established Cornell Tech. I am advised by Professor Serge Belongie. 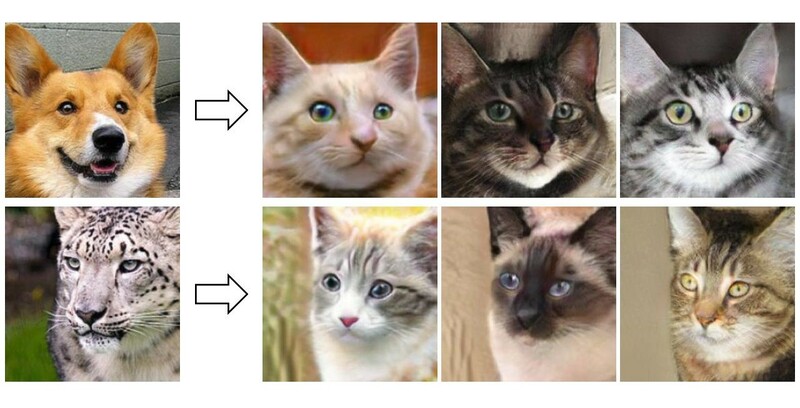 My research is focused on deep generative models and applying them to re-create the visual world. July 2018: MUNIT is accepted by ECCV 2018. Feb. 2018: Two papers are accepted by CVPR 2018. Dec. 2017: I am doing an internship at NVIDIA research. July. 2017: Our paper on style transfer is accepted to ICCV 2017. Feb. 2017: Our paper on GAN is accepted by CVPR 2017. Also see my Google Scholar. Fall 2017, CS5785 Applied Machine Learning. Fall 2016, CS4320 Introduction to Database Systems. I am an amateur Go player and a member of the Cornell Go Club. During 2016-2018, I participated in ACGL (American Collegiate Go League), representing Cornell University. I am (officially) a 2-dan amateur Go player and a 4-dan player on Eweiqi. I read books in my spare time, especially science fictions, history, and philosophy books. I am particularly interested in the contemporary Analytic Philosophy and more specifically the Philosophy of Mind. I am a music lover. My favorite genres include classical music, new-age music, and Cantonese popular songs. I can play the piano at the beginner level and am still learning it. I love classical pieces composed by Schubert, Bach, and Chopin. I am a Dota player (MMR > 5000).